We provide essential legal representation for those exposed to asbestos and other toxins in an occupational or environmental setting and obtain maximum recovery for them and their family members. Our primary focus is on asbestos exposure, which leads to several lung problems and cancer diagnosis. We offer free legal advice and asbestos trust fund claim submissions to victims and their family members that have been exposed to asbestos. We believe all available remedies for asbestos injuries should be examined together. A coordinated approach can turn out to recover much more than a settlement of one claim. Our clients and their families need overall solutions to overall problems, and the coordinated handling of all possible asbestos claims produces the greatest benefits. We are widely recognized for our diligent and successful representation of many thousands of clients and their families. Our law firm has the right experience, resources and attitude to help you get through difficult times. These are important characteristics that enable us to help you and your family in current and future situations related to asbestos injuries. Our lawyers and staff members have the skills and the dedication required to make the entire process easier for you and your family. Because we represent people across the United States, we are accessible for you wherever you may be. We are here for you and we mean it. Focus, patience and understanding are our client service's main qualities. Our lawyers will always have time for you because we make open communication a top priority. By phone, by email or in person, our staff members are available to answer your questions and ease the dificult parts. The genuine long-term relationship between us and our clients may be the main difference that makes our team unique among other law firms. Staying in contact, communicating, investigating, researching and evaluating the case may take several months. Work records, medical records and product identification are only a part of the process we go through before filing a claim. Some of the expenses and the hours of work, will be ours. You can rest assured knowing that everything we do, we do it for you to receive a fair compensation. We are genuinely interested in working with you and for you. When you win, we also win. 133,433 Asbestos Exposure Claims Handled Throughout U.S. The environmental case is unique. Not many lawyers do this type of work. We have handled thousands of cases that have taken us all over the country. You are not required to file your asbestos claim in the state where you live. It's more important to work with experienced asbestos attorneys with proven results than it is to select one attorney in your area. A successful personal injury attorney may have never handled asbestos cases. We have a core group of attorneys and staff that have worked solely on asbestos cases for almost 22 years. From the beginning of our legal activity, we've had particular traits that contributed to winning the cases: vigorous representation, proactive counseling, and advocacy through extensive experience. What makes us unique is the rare combination of being experts in our fields and interested in you as an individual, on a personal level. It is only natural for us to remember your name: for us, you are a person, not a case. We believe in authentic human connection. We are also honest about the length of our collaboration, the amount of compensation we can recover and we never set false expectations. The process will not be fast or easy, you may find it even hard, but we are here for you from the beginning until the end and even after the case resolves. 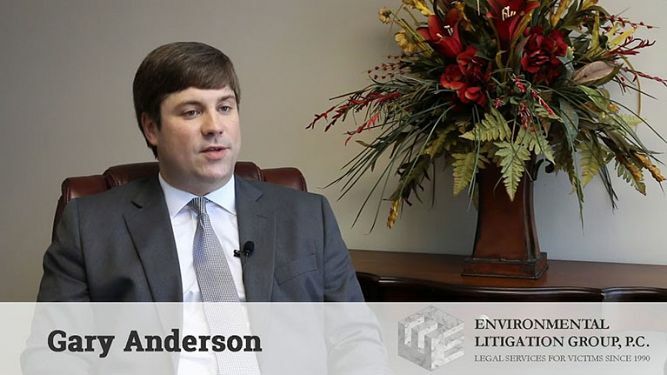 Our experienced asbestos and environmental attorneys deal with numerous lung cancer and mesothelioma cases and they will handle your case with commitment on a personal level. "We're a team of experienced attorneys and staff with over 20 years of legal experience. We work hard and conscientiously to serve your best interest." Gregory Cade - Owner and dedicated attorney with a scientific background in Industrial Hygiene, and a real drive to take care of cases in the most detailed manner. 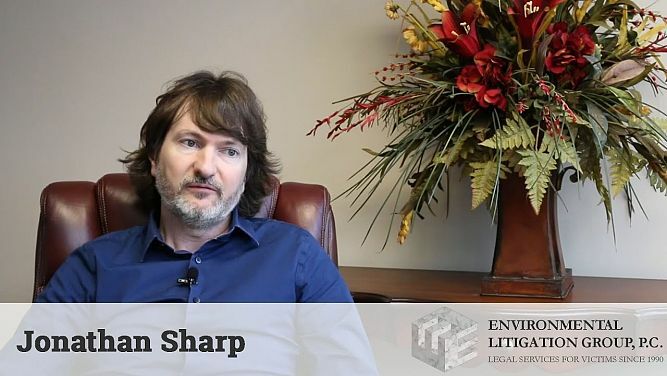 Our attorneys and staff had relatives or loved ones that got sick due to asbestos exposure: they care about you and each and every client and they treat everyone as an individual, not just as a case. Why Environmental Litigation Group P.C.? We successfully recovered over $1.4 billion for over 25,000 asbestos exposed clients, developed EPA-compliant environmental regulatory policies for municipalities and industry, enforced regulatory compliance, assessed and advised in Qui Tam lawsuits, and provided many more services where environmental matters and law meet. We have capabilities such as comprehensive discovery, case development, management, and litigation of environmental cases, specializing in those related to public health - personal injury, property damage, and compliance. We deal with asbestos exposure cases, from moderate to severe, taking the time to listen, research, make a case and personally handle each client with care and compassion. How Do We Handle Your Asbestos Exposure Claim? This page was last updated on April 20th, 2019 PST by Channika DeSilva Gonzalez at Environmental Litigation Group, P.C.